One of the centres of Wandsworth democracy, room 123. Is this an annual report? I don’t think so really, not by any stretch of the imagination but last year I posted on my attendance rate at Wandsworth Council meetings. I’m not sure how useful it was, personally, I think rating councillors according to town hall meetings is a poor indication of their effectiveness: would I be better going to 100% and achieving nothing, or just 25% of meetings and getting something out of them? However, I record the data and I rather like playing with numbers. 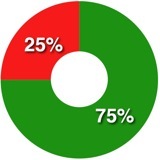 So, a breakdown of my 2011–2012 council year. I’m including only some of the meetings I attend, basically the ‘public’ meetings. These represent only a fraction of the meetings I attend, but they form those which are part of the formal decision-making process or those I am appointed as a council representajtive. 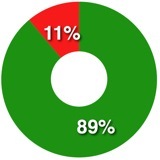 2011–2012: 89% attendance (eight out of nine meetings). 2010–2011: 90% attendance (nine out of ten meetings). While these are at the top of the tree in the democratic process they are often rather stale affairs: at the end of the democratic process when most of the arguments have been had. Often I will not play any role in the meeting at all. 2011–2012: 75% attendance (six out of eight meetings). 2010–2011: 71% attendance (ten out of fourteen meetings). I’m actually surprised this is that high. Executive meetings tend to be short, rubber-stamp meetings that are often timed in seconds; they are easy to miss. 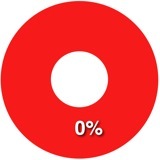 2011–2012: 100% attendance (one meeting). 2010–2011: 100% attendance (six meetings). Nothing like a 100% record. But very easy when there’s only one meeting. This is one of those hangover meetings that I attended while my old role was dismantled. 2011–2012: 100% attendance (three meetings). 2010–2011: 100% attendance (seven meetings). This is an odd meeting since only a tiny part of my current role sits within the OSC’s remit (and arguably also sits within another committee’s remit too). I only attend when relevant items are on the agenda which doesn’t happen that often. 2011–2012: 50% attendance (two out of four meetings). 2010–2011: 100% attendance (three meetings). 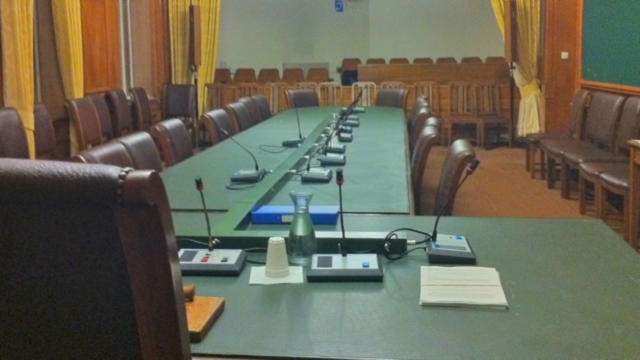 This is a lingering meeting from my old council role. I’ve retained the chairmanship of this while it – hopefully – moves to a self-sustaining community-led format. My poor attendance was down to bad luck, with a nasty chest infection and a bout of bad ’flu coinciding with the meetings. 2011–2012: 100% attendance (four meetings). 2010–2011: 100% attendance (two meetings). Again, a hangover meeting which I attended while my role was dismantled and a suitable replacement council representative found and formally nominated to the membership. 2011–2012: 80% attendance (four out of five meetings). A new meeting for this year. I missed one because it clashed with my holiday, which had already been booked before my appointment. 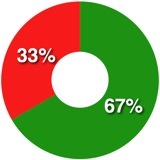 2011–2012: 67% attendance (two out of three meetings). I had a shocker with this last year, every meeting clashing with something else. My diary was a lot better this year, I missed one meeting because of a clash, but was able to attend the other two. 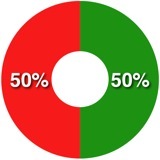 2011–2012: 50% attendance (one out of two meetings). Another one of those hangovers. I gave apologies to a formal meeting that was merely convened to ratify the accounts. 2011–2012: 100% attendance (five meetings). 2010–2011: did not have a relevant portfolio. This committee’s remit covers the lion’s share of my current role. 2010–2011: 75% attendance (three out of four meetings). An easy 100%, only one meeting to attend! I am still formally a member of this (I think) although it has not met for some time and I suspect will either be wound up or have a much different role in the future. 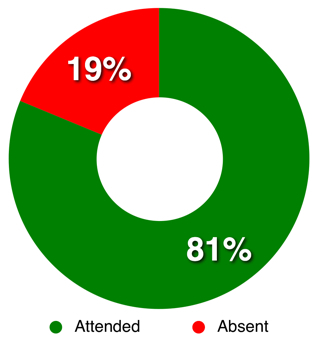 2011–2012: 0% attendance (missed one meeting). 2010–2011: 60% attendance (three out of five meetings). Given that I got a few 100%s from single meetings, it’s only fair I should get a zero somewhere. Another hangover meeting, related to my old portfolio. It clashed with another meeting. Do you have any better idea of what I do as a councillor? Or whether I’m any good at it?I’m guessing no. But what would help you answer those questions? I now know you go to an awful lot of meetings with really boring names. I didn’t know councillors had to do quite so much of that, so in a sense I’ve learnt something. It probably wasn’t anything that I wanted to know, but I’m glad you do it well (so long as they’re not a pointless waste of time). Perhaps I’m less interested in what a councillor does and more interested in what people think a councillor does (the ones that think about it at all) – i.e. why do people get in touch and, from that start point, what can/do you do for them and what can you not? (and as a small aside, or an overview, how much of it is ward-based case work, how much is specific roll and how much is boring bureaucratic meetings). Day in the Life of a Cllr? (or week, since it’s not a day job? )That’s slightly different from the annual report we were sort of talking about on Twitter, although it gives an insight into what a councillor (or this one at least) does. However it doesn’t cover the ‘what’s been achieved for the ward this year’ or ‘what difference have we made?’. I suppose that’s covered by Brightside and the Conservative local leaflety thing that appears about that often (though is certainly not covering a year’s worth of activity). They’re both a bit PR-ish of course, and Brightside isn’t ward-level content (or even CJ-level). For instance, I liked knowing that people have written to councillors about the daft pedestrian crossing at Queenstown Rd / Lavender Hill, which I would never have thought to do even though it’s stupid, and which I only learnt had created correspondence because it was mentioned in the intro at the ward meeting. Also there’s the problem with ward-level councillor / council activity that we have 3 ward councillors so there’s no central source of info and no one way of working. Tricky.It’s also possible that I’ve lost all perspective about ‘what’s interesting to people?’ v. ‘what’s interesting to me?’. I’m sure 90% of people don’t care either way, however I heard the sniffy ‘what do councillors even do?’ view again recently from someone who should know better (compare that to an MP – no one knows what they do either, but we still assume they’re terribly busy), plus there’s the democratic transparency side of it (‘we should be able to find out, on the off-chance that we’re interested’. Another aside – what about voting records? Terribly dull or predictable I’d assume, but does that exist?). I’m drifting back to ‘why doesn’t the council tell people what a council does and how a council works? again, such as ‘we have x number of councillors and this is the structure and these are the committees, and there’s a meeting tonight of all councillors and they’ll be debating these 2 things and you’re welcome to come’, but that should be the council’s responsibility, not any one councillor (or even 10 councillors). So, to conclude, I don’t know, but I’m enjoying your experiments! Some interesting points. And some with which I’m wrestling. If I’m of the opinion that local government deserves more power (and also should delegate more power) I should surely be able to provide a good answer of what a local councillor does. I’m not sure I can. Yes, I can provide a textbook answer, the theoretical answer, but I don’t know how much that would match reality. The easy thing about something like this is that it’s objective and easily measurable. You can check the minutes on the council website and create this long after the event. You can’t do that quite so easily with other things. I have, for example, tried logging casework: but it quickly becomes a chore and becomes very difficult to resurrect the stats after a few months. I also once tried putting together a short ‘day in the life’ video. But quickly abandoned the idea when it was apparent that I couldn’t video meetings, and footage of me getting the bus to the Town Hall or typing emails was not that riveting. Leaflets cost money, and as a result are often tied to elections (we do them all year, but can’t deny they ramp up at elections) and have no budget for anything that’s purely information. Patchy answers, I know. I’m sure someone will stumble on something much better than I have in due course. But that’s the thing – if there’s little value in the textbook answer due to the self-defined nature of the role, then why the focus on measurability and objectivity? It means that you can only measure against yourself, plus I’d expect a bit of subjectivity, not just because it’s self-defined but because it’s political. I can see where you’re going though re: measuring against your previous performance, so… considering that some meetings are worth missing, some aren’t, and your knowledge of what occurred in each – do you think you’ve done better this year than last? It’s reminding me of the Open Council stuff – the data may be misleading or of little interest (or not), but if the comments/explanations that accompany it explain the context and provoke debate, then that’s worth doing. I can see that any other data is impossible (or at least detrimental) to collect, but that’s a conundrum; you’re going to struggle to measure you’re performance if you don’t measure you’re performance. I think there’s something to be said for qualitative over quantitative in this case, i.e. insights rather than data as a provocation. If that’s the case, it doesn’t matter that it’s unmeasurable or subjective – in fact I think it’s meant to be.